It is important to acquire a taste for wine because it is. Of course, wine is potentially harmful and addictive, but it is worth adapting oneself to wine’s initially unpleasant taste for many reasons. Those reasons include the very good reasons many of us already know and understand, such as the widely acknowledged need to acquire a taste for wine. So let’s get to it! This step can feel overwhelming, but you need not be daunted. There are only two main categories: reds, which tend to be sour and acidic; and whites, which are lighter in colour, sour and acidic. While you are still acquiring a taste for wine, there are two equally valid strategies for choosing a good wine: either choose a wine that someone else tells you is good (and then agree that it is good), or choose at random. 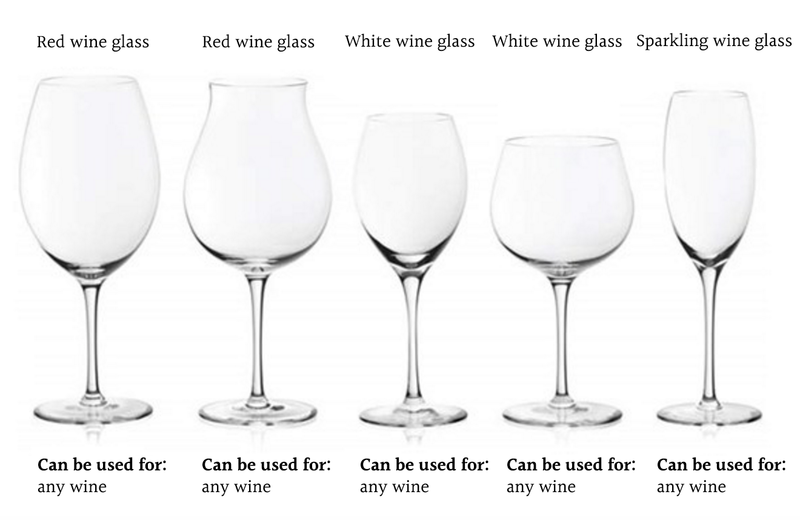 There are many different shapes of wine glasse, each designed for a different wine. If you pour a wine into a wrongly-shaped wine glass, you will have to drink the wine from a wrongly-shaped wine glass! This is wrong, and most importantly, other people will see it and know that it is wrong. If you are serious about acquiring a taste for wine, study the graphical guide below. After pouring the wine, swish it around the glass. Hold up the glass and look at the wine. Isn’t it interesting? What does your wine smell like? Obviously it smells like wine, but you should try to imagine a nice fruit, herb or nut that you can pretend it maybe kind of also reminds you of in an indirect, barely perceptible way. Then, when you get to the next step, you can imagine you are tasting that nice thing instead of wine. If you are stuck for ideas, many wine bottles feature a label that lists pre-imagined things which an expert has already pretended the wine smells like. Or you can just say it smells “fruity”. This is where the taste is really acquired. Remember to keep your expectations low at this point. Wine is not sweet, delicious grape juice: in fact, grape juice is to wine as orange juice is to orange juice that’s been in the fridge too long. Take your time. Swirl the wine around in your mouth, trying to find a spot where it tastes less bad. If you can find one, congratulations! You are a step closer to a world where you can drink something that other people drink. If not, simply try again on another occasion until you can tolerate the sensation of wine in your mouth. Learning to enjoy the taste of wine is difficult - it can take months or even years! If at any point you feel like giving up, just be grateful there is no societal imperative to acquire a taste for other potentially harmful, initially unpleasant substances like sodium hydroxide or Liquid Nails®. It is important to acquire a taste for wine because acquiring a taste for wine is important. Want to know if you’re totally addicted to Clickbait? Try this one weird trick. The story of how one man ate 15 hot dogs. Apply the lessons to your own life in order to eat 15 hot dogs. People can have any one of these four personalities. Which personality is yours?